Whenever a new version of Microsoft Office releases I tried to put the download link in my blog so that people able to download it and try. The same thing happens for MS office 2019. 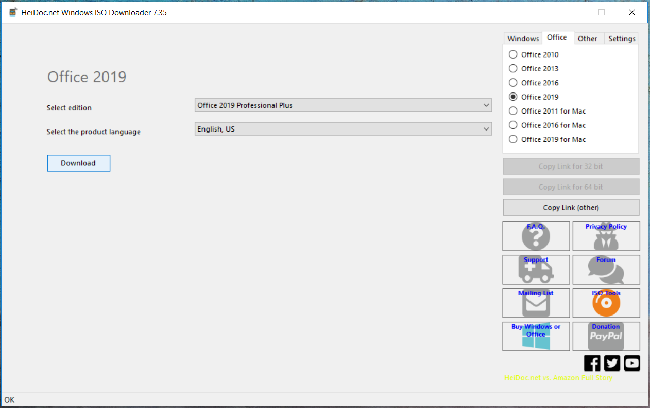 I have enlisted how to download Office 2019 and also in a separate post I have shown how to activate MS Office 2019 for free. But recently one of my friends was asking about Microsoft Office 2010 and help him out to download that particular older Office version. So I told him about this awesome tool Windows ISO Downloader where you can download Microsoft Office 2010 to 2019 as well as Windows OS from 7 10. Windows ISO downloader is a time-saving tool and you must have if you have multiple PC. 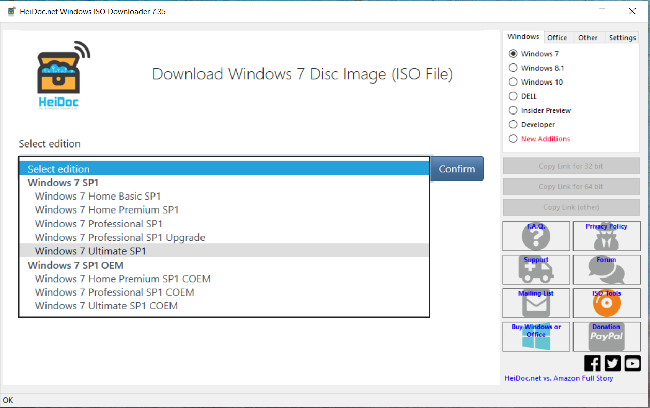 This a single tool to download the older version of Windows OS ISO as well as new versions like Windows 7, Windows 8.1 and the latest Windows 10 with different edition and language. If you love Windows 7 Ultimate in the Spanish Language then you can download that ISO using this Windows ISO Downloader. If you love Windows 10 then you can download any edition available in Microsoft Website. Normally if you may have able to download the Windows OS ISO but sometimes downloading Microsoft Office ISO becomes quite a hectic process. Windows ISO downloader makes it easy. You don’t need to visit any website or login via Microsoft User Id. Just run this software and select which Office you need to download then select the edition whether Professional Plus or Home. Last, select the language and hit the download button. It will automatically fetch the download link and start downloading the file through your default browser. We have to say thanks HeiDoc.net for developing such an awesome tool for all windows lover. Windows ISO downloader tool sometimes hangs due to fetching the right download link so be patient and download whatever Windows OS you need or MS Office. I would recommend you to try this tool to download the latest Office 2019. If you are facing any problem then do comment.